Posted on 18 November 2011, in Autumn, Farmers Market, French Fridays with Dorie, Meat CSA and tagged French Fridays with Dorie, lamb, winter squash. Bookmark the permalink. 18 Comments. Looks great, do you really have to wait before you can eat this? Good luck and have a nice weekend. Oh boy, that looks like a lot of work to get all that lamb off its bone. I really need to get my knives sharpened. I’d still be sawing away, if I tried to do that. I found a package of pre-chunked lamb meat at the store, so I avoided that problem. Oh, yours looks terrific! I love your idea of the squash. I thought about it, but then just followed along with the recipe… I ended up adding some coconut milk, just to enhance the sauce. I did make mine after work too… a bit of a late evening! Glad you liked yours!!! And Happy Thanksgiving to you too. It’s my very favorite holiday and I’m already looking forward to all the yummy food. I love your addition of squash – it looks nice & I’ll bet it tastes great. 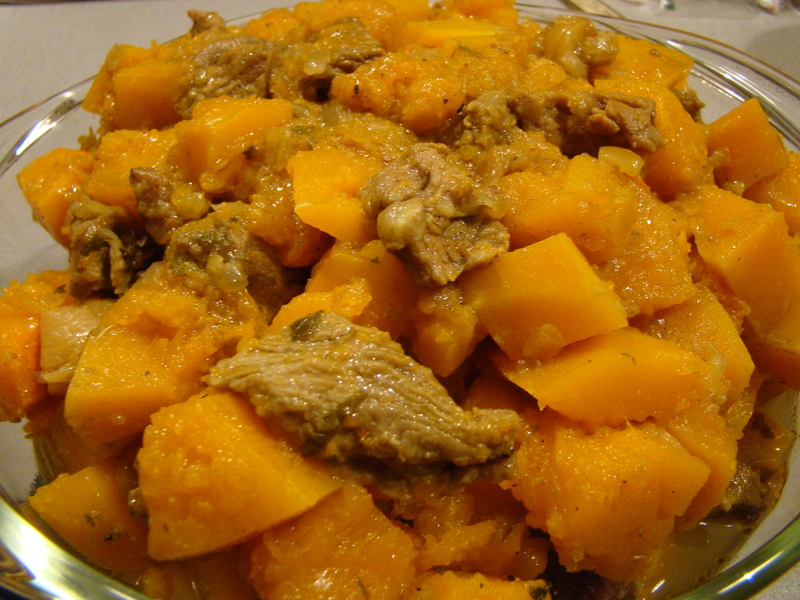 Great use of butternut squash to replace the potato and add sweetness. I smiled when you mention that you can’t sneak in all those sweet ingredients this week. Oh the lengths we go to make dishes for love ones! Hope it’ll be a delicious dinner for you tonight. 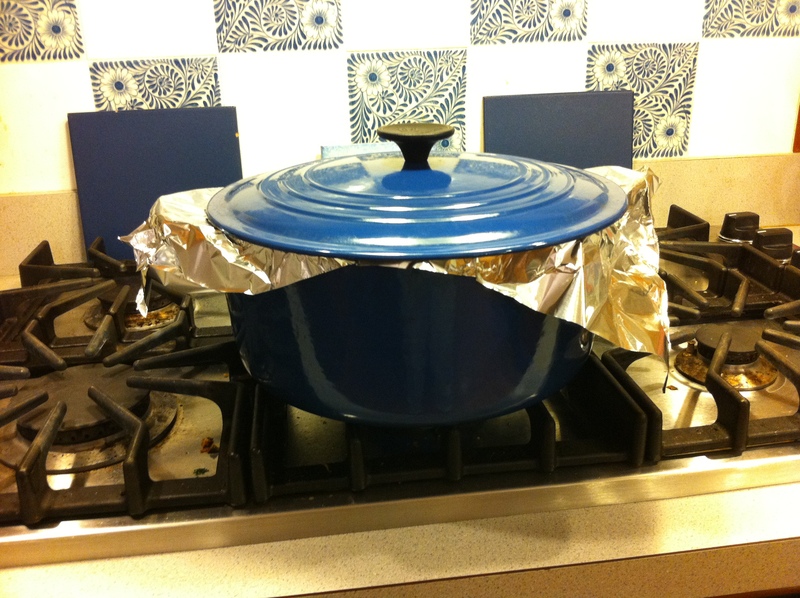 Betsy…your braised lamb looks delish ! Adding squash to it makes it even more delicious :) Have a nice weekend! I like the substitutions you made. And while I am not a curry lover, this does looks amazing. I did not participate this week but thankfully when I do, our grocery store does cut the meat for you, so one less thing I have to worry about chopping. Your substitutions look great…love the squash. I think I would add it in addition to the apples. This dish looks delicious…will have to give it a try! Have a great Thanksgiving! What a perfect substitution for the apples because the butternut squash is sweet. I loved this over egg noodles and hope you enjoyed it. I liked it even more as leftovers because it allowed the flavors to meld even more. I hope you and Howard have a wonderful Thanksgiving, Betsy! I also am so thankful for meeting you and the rest of the group this past year. Have a great weekend! how interesting! I think that the extra meat would add extra jus,… I used the amount it asked for and wound up with more jus than I anticipated, kind of the opposite problem you had :) It looks delicious!! I love all your butternut squash. Makes this dish more seasonal. I’m finding that many people don’t care for sweet with meats…except for the sweetness of a BBQ. Personally I like sweet with just about anything, but even more I like lots of veges…to me the best part. When I saw all your squash it got my thinking going and I would like to make a dish similar to yours. Great ideas…thanks. I like the idea of butternut squash. I didn’t fess up to the dried figs until my husband bit into one and said “what was that!?”. Have a great Thanksgiving! I’ll have to say I especially miss home this time of year. We always have my husbands family & friends over for the big meal. They love the cornbread stuffing and pumpkin cheesecake. But, I miss being in the kitchen with my Mom. I hope after you got to eat it that it was delicious…it certainly looks like it was. It looks wonderful and substituting butternut squash for apple would work really well – keeping the sweetness, while avoiding the fruit + meat dilemma for your husband. You get such lovely goods from your CSA. 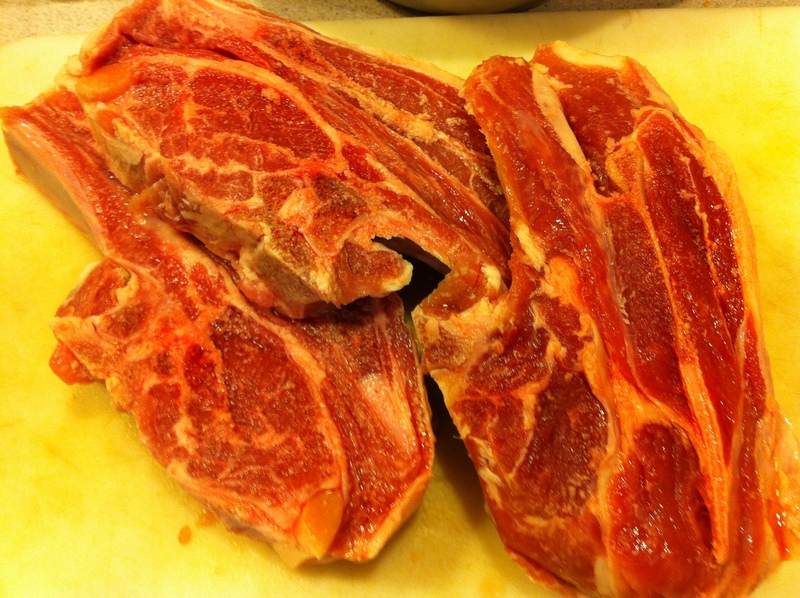 The lamb shoulder chops look amazing. Your braised lamb curry looks gorgeous, Betsy, and like everyone else, I agree that the butternut squash was a brilliant substitute for the apples, potatoes and raisins! Hope you guys enjoyed it (especially Howard). We ended up using sweet potatoes instead of potatoes. I thought it made it perfect for this time of year. I probably changed more of this recipe than I followed, but it all seemed to work. Happy Thanksgiving!